Abstract: Uncommon Leaders have a gift: While inspiring and serving others with integrity, they also model a commitment to self-care and reflective practices. These skillful leaders are focused on being intentional and mindful of their values, beliefs, and guiding principles---in short, they “live well”. This high level of self-awareness informs the leader’s capacity to model courage and integrity---to “lead strong”. Grounded in their beliefs and values, these leaders routinely offer skillful feedback that impacts performance; they also have the capacity to plan and hold difficult conversations with professionalism. 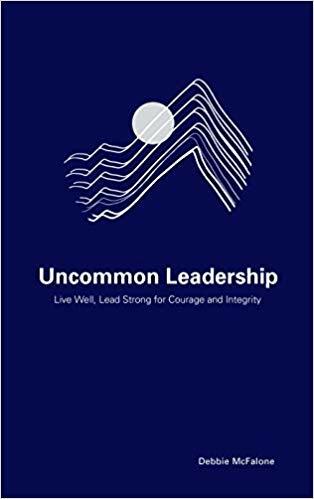 Uncommon Leadership supplies the reader with practical strategies, information and exercises to develop skills, as well as inspirational ideas for maintaining strong and effective leadership over a sustained period of time. Each chapter includes ways in which the reader may transfer their learning to their own practice, as well as a graphic quote that serves as a reminder of key points. Practicing leaders will find this a helpful guide for significant professional growth; aspiring and early career leaders will find it a valuable tool they will return to often for reference.